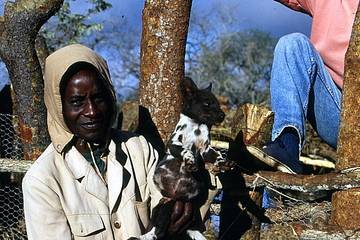 In 1995, the trusts launched East Africa's first captive breeding and translocation programme for the critically endangered African Wild Dog. This project started with the arrival of 25 pups from three different families on the Maasai Steppe, an area where the local Maasai pastoralists poison the dogs in retaliation for killing livestock. A veterinary program has been underway since the dogs' arrival. All of the dogs were inoculated against rabies, canine distemper, leptosprirosis and parvo-virus. 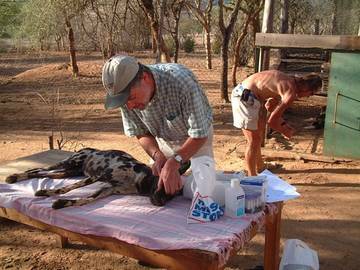 Blood sampling has taken place, and the effectiveness of the vaccination programme has been studied. Although they have immunity to rabies, leptosprirosis and parvo-virus, a massive setback occurred when many of the dogs died of canine distemper, despite vaccination with a killed vaccine. 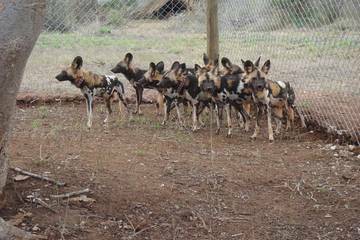 The Erasmus University in Rotterdam has made it their plight to investigate the canine distemper problem in wild dogs. Currently (July 2003), there are 20 dogs, separated into four breeding compounds. DNA print outs have been carried out, indicating a promising bio-diversity between the dogs for genetic viability. Microchips have been inserted beneath their skin so that the individuals from the different groups can be identified. A joint release/introduction program with the Kenya Wildlife Service has taken place in Tsavo National Park, integrating four males from the captive program at Mkomazi, with four wild caught females with hunting experience from Kenya. This has been a partial success, and we hope to undertake similar programs in the future. Discussions are currently underway for re-introductions to the larger National Parks in Tanzania, where the dogs will have the greatest chance of success. A re-introduction plan has been prepared and submitted to Wildlife Division authorities. The African Wild Dog is a vanishing species. Mysterious, elusive, and enigmatic, they are the restless corsairs of the African plains. They possess no territories. Only when the alpha female whelps does the pack settle down for a few months, until the pups are old enough to accompany it on its marathon journeys. 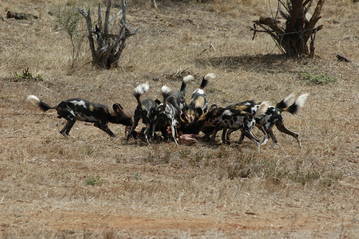 African Wild Dogs are the wolves of Africa. Their heads are broad, their muzzles short. There is strength in the muscular neck, stamina in the deep chest, tenacity in their long, slim legs. They seldom raise their hunting pace above 30 miles per hour, but can maintain a steady speed for miles, wearing down their prey in a remorseless and single-minded chase to the death. For years, they were despised as vermin, shot and poisoned by farmers, hunters, pastoralists and game departments. Condemned as stock raiders, they have become fugitives, a vanishing breed once memorably described by conservationist-photographer Hugo van Lawick as "innocent killers". All over Africa, their history has been one of unremitting persecution. Only when more enlightened attitudes began to prevail did they appear for the first time in their own true light: not as indiscriminate butchers, but as highly intelligent social animals whose hunting efficiency actually improves the quality of the game by removing sick individuals and scattering herds to prevent inbreeding. Sadly, the change in attitude has come too late to save many packs. 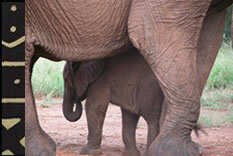 Despite the protection of the parks and reserves, they have continued to decline throughout their range. Disease and poisoning are some of the prime causes of their downfall. Canine distemper and rabies, picked up from domestic dogs, can wipe out an entire pack: once one animal is infected, the sociability of the Wild Dog ensures that the disease spreads rapidly throughout the pack. Today, in the whole of Africa, fewer than 3,000 of these remarkable animals survive. 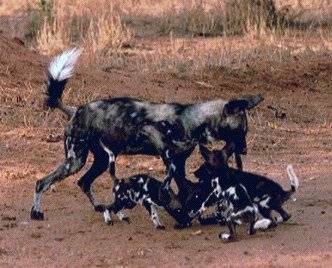 Unless Africa's Wild Dogs are given the help needed for their recovery, the future of these fascinating animals will remain uncertain. We must act now to ensure their survival.